On the 24th of February, 2004 a small group of Thai journalists (and one foreign journalist and photographer – George Mann), visited the Nikon factory in Ayuthaya, just north of Bangkok. The trip was organized and sponsored by Khun Poolsap Hungsakul of NIKS Thailand. President of Nikon Thailand, Kenichi Kanazawa gave the opening and closing presentations to the press and was ably assisted by General Manager Jesada Thanvareerat. The main reason for the trip was the imminent introduction of Nikon’s new Canon slayer, the D70 Digital SLR. Nikon is not only manufacturing the new camera for the South East Asian area but for the entire world. The projected production run for 2004 is 800,000 units of the D70 camera body from the Nikon Thailand factory. The D70 has been eagerly awaited world wide by photographers because it is the first Digital SLR camera body to challenge the immensely popular Canon 300D (Digital Rebel). Nikon has gone Canon better this time – and produced a camera that has capabilities so far not available at this camera’s price point and some capabilities not available before at any price point. Although prices may vary in different regions, the current battle between Canon and Nikon is for the US $999. digital SLR camera market. Nikon Thailand was chosen for this very important Nikon digital camera project because in order to meet the market demand for a US $999. camera body, the production cost and production volume possible could only be provided by Nikon’s Thailand factory. Having been constructed in 1991 the Nikon Thailand plant has twelve years of precision manufacturing experience. The staff and facilities remained fairly small though until the year 2000 when the staff was still under 2,000 employees. Steady growth over the next few years and an increase of floor space from the original 19,400 square meters to the present 46,200 square meters brought the present staff up to over 6,000 employees. By June of 2004 this will increase to over 8,000 employees. Nikon Thailand production capabilities The range of products produced at Nikon Thailand include plastic molding, plastic molding of optical parts, painting, printing, metal processing, plating, spherical lens process, aspherical lens process, prism process, electrical and electronic mounting process, silent wave motor, and auto focus unit production. SLR camera production has been a specialty of Nikon Thailand for some time, Nikon cameras produced in Thailand are the F80, F65, F75, F55, and currently the D70. Nikon lenses manufactured in Thailand are the AF28-80, AF28-100, AFS24-85, and the AF Zoom Nikkor ED 28-200mm. Currently the factory is also producing the AF-S DX Zoom Nikkor ED 18-70mm to sell in an optional kit form with the D70 DSLR camera body. The Nikon D70 Digital SLR The Nikon D70 DSLR will be available world wide by the time this article is published. 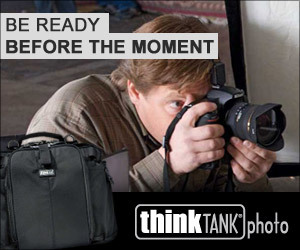 All photo enthusiasts will be talking about it and initial shipments will have already been sold out in most places. The first most impressive thing about this camera is obviously it’s low price for a Digital SLR, but the second most impressive is the design. This is not a cheap looking camera, it looks just like a high end professional DSLR but is a little smaller and a lot lighter. Next PostWhat’s in my Camera Bag?